Each morning we are born again, what we do today is what matters most. 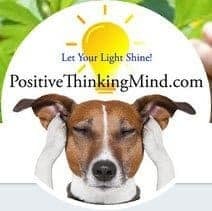 Welcome to PositiveThinkingMind.com! Through conquering my own personal struggles in life with anxiety and depression, I now help others see the best in their lives. I want to Inspire, Motivate and bring Light into your world. Let Your Light Shine! Disclaimer This site contains affiliate links, which means we earn a commission if you purchase through our link at no additional cost to you. Articles and information on this site is not medical advice. If you think you’re depressed or have other mental problems, please talk to a doctor or therapist to get the help you deserve. Please read our full disclaimer .